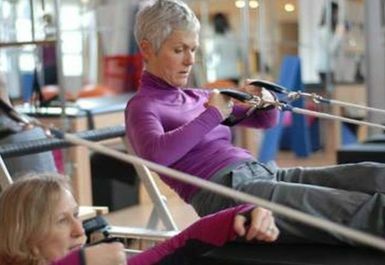 Pilates in Motion's mission is to help people enhance their lives by improving their health and well-being through Pilates. Whatever your motivation to do Pilates, they have a dedicated team of professional teachers whom you can trust with your body, and who can help you to achieve your goals. 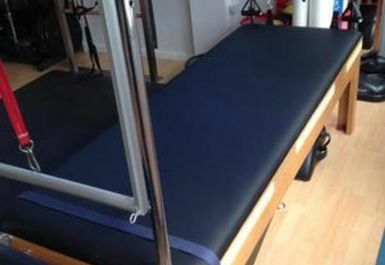 Pilates Mat classes have justifiably become very popular in their own right, and have made Pilates accessible to many. Mat classes are offered at different levels, though the aim of learning all 34 of the original exercises is the starting goal for all of classes.To ensure the best results for all participants class sizes are limited to eight, and they do have minimum requirements for joining Intermediate Mat classes..
Pilates in Motion is on Curzon Road, West London. Reach the studio by public transport with Hanger Lane (Central) tube station and Castle Bar Park (First Great Western) rail station nearby. Buses E2 (Brentford Bus Depot - Clifton Road) E9 (Ealing Broadway - Welbeck Avenue) stop outside the studio on Pitshanger Lane.